The Iowa State Bar Association released an opinion cautioning attorneys against calling each other unethical. Arkansas attorneys might want to pay attention to what the Iowa State Bar had to say about name calling. Both Arkansas and Iowa have adopted the Model Rules of Professional Conduct and the Iowa State Bar based its decision on those rules. At any rate, the Iowa State Bar received a bunch of inquiries this year that all pretty much asked the same question – does it violate the Iowa Rules of Professional Conduct if one attorney calls another unethical? On Oct. 24, the Iowa State Bar released an opinion stating that lawyers in that state must not call another attorney unethical unless the intention is to report the allegedly shady attorney to the disciplinary board. Here’s the thing. Rule 8.3 of the Iowa Rules of Professional Conduct states that a lawyer is ethically required to report another attorney who has committed a violation of those rules. Furthermore, a lawyer who does not report an allegedly unethical attorney may be in violation of Rule 8.4(a), which classifies any breach of the rules as professional misconduct. 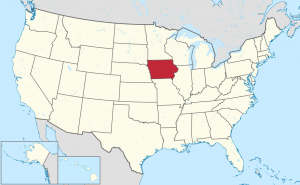 It seems there was a problem in Iowa of some attorneys using a tactic through which one would threaten to turn another in for an ethics violation as a way to extort a favorable outcome to a case. If the allegedly unethical lawyer played ball, then no ethics violation was filed. The Iowa State Bar said it is mandatory to report breaches of the Rules of Professional Conduct. Lawyers are prohibited from discretionary reporting, so using the threat of an ethics report as a bargaining tactic is a no-no. The conclusion should come as no surprise to any attorney out there. We all had to take at least one ethics class in law school and learned that we were obliged to report unethical conduct. Reporting that conduct is one of the primary ways the legal profession polices itself. Still, we could all use a refresher course from time to time and the Iowa State Bar may have provided one. It is not hard to imagine how the decision in Iowa might be applied to attorneys in Arkansas. In theory, we’re all using the same playbook so it makes sense that the same rules would apply to lawyers in both states. This column was authored by Ethan C. Nobles and originally appeared in the Dec. 16, 2014, edition of the Daily Record in Little Rock.